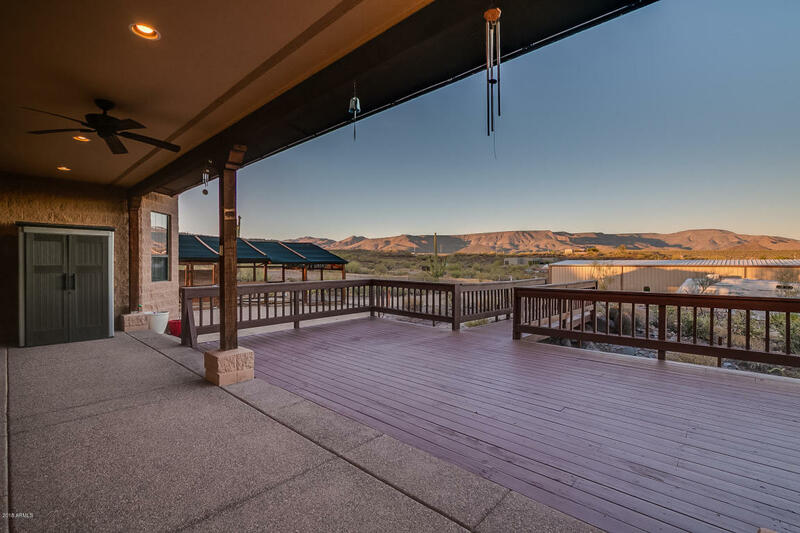 This extremely well-built, tidy home has a huge deck under a big sky with endless mountain views—and a long, long list of upgrades and special features. The detached, 3,200-square-foot shop can hold an RV and toys or house a business (or both). There’s a shaded dog run with an air conditioned dog house (seriously!). Inside, you’ll find vaulted ceilings, fine cabinets, stainless appliances and a jetted tub.